Two Weeks | More blue fabric? Before we start, I should clarify that by two weeks, I don’t mean the super awesome song by Grizzly Bear. And if you don’t know what I mean by that, you should click here now so that you can listen to it. Go do it, I’ll wait. Had a listen? Good, let’s get on. So yes, two weeks. Two weeks today is 6th September. A date which is pretty important for me as it happens to be my birthday. And this year, it also happens to be a significant number of years since I first appeared on this planet (the same number of years since this was number one. Seriously.). To celebrate, I’ve decided to throw a birthday party in a local pub and, as should be no surprise to long time readers of this blog / followers of mine on Instagram, the theme for the party is glitter. I currently have nothing to wear. I also don’t have any free weekend time due to a combination of visiting family and going to a local music festival. I also don’t have anything to wear for dinner on my actual birthday, but that’s a whole separate issue. 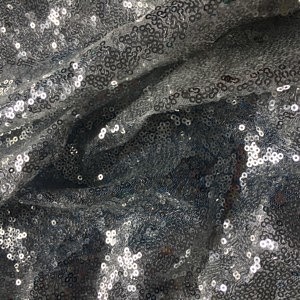 I do however have three metres of silver sequins. I think you can see where this is going…. Will I make it? I’ll let you know on Sunday 10th, but until then, the countdown is on. Happy birthday in advance and good luck for your silver sequin sensation! I have faith in you that you shall go to the ball looking spectacular!